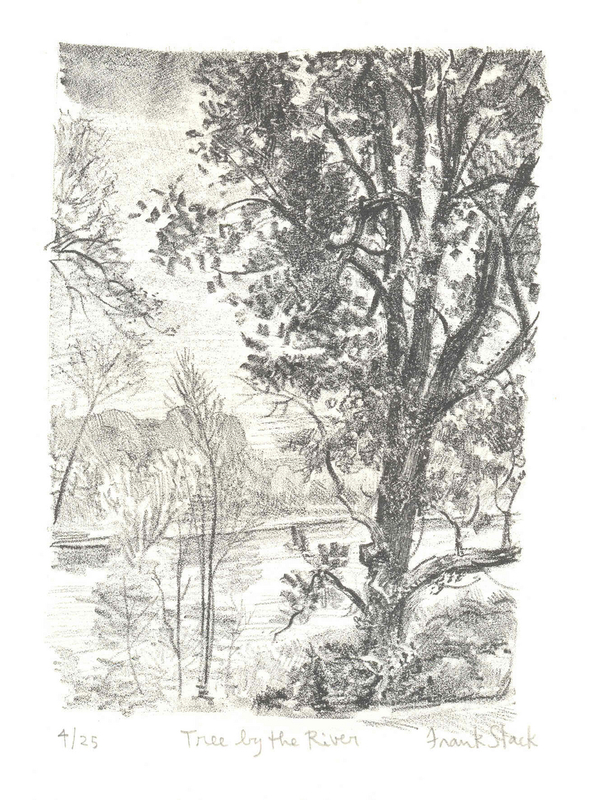 This pencil-signed original hand-pulled lithograph represents a tree on the bank of the Missouri river. This impression is from a limited edition of 25 and is numbered "4/25". Image size: 7.5" x 5.5", Sheet size: 11" x 10".